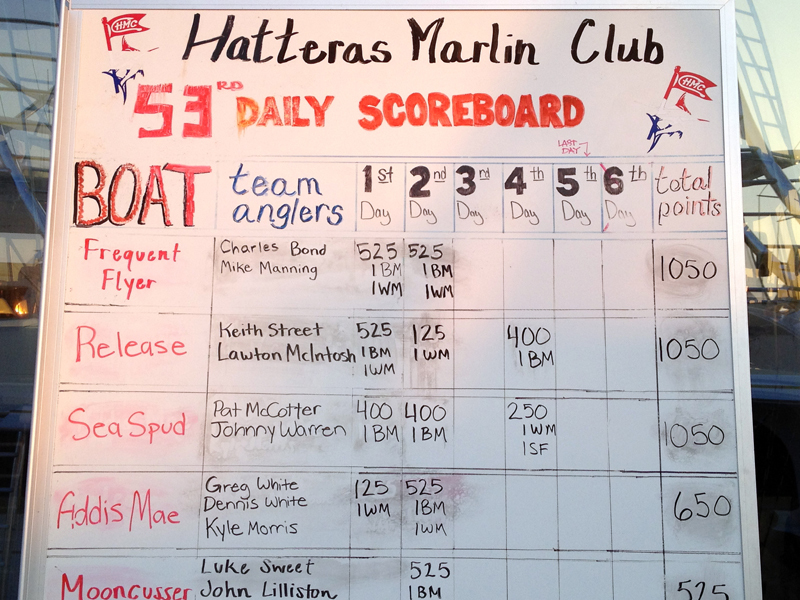 Jarrett Bay hull 15, Frequent Flyer held off all comers to win 1st overall at the prestigious Hatteras Marlin Club Invitational last week, releasing 2 blue marlin and 2 white marlin. The first two fishing days of the tournament were great conditions and a good bite, and Frequent Flyer and the Release got off to a fast start, each releasing 1 white and 1 blue. Most of the fleet took their lay day on day 3 and returned to action to “fish out” on day 4 – which was relatively slow. Other Jarrett Bay boats fishing the tournament included Fishing Partner, Bench Mark and Inspiration. Bench Mark released several white marlin and we have some excellent fishing photos on Facebook. Our heartfelt congrats to Jim Bullock and the Frequent Flyer team!